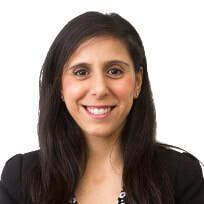 Dr Sarah Azzi is an Associate Director with Anacacia Capital. Sarah is responsible for a range of activities including originating and assessing prospective investments, supporting portfolio companies and assisting with exit opportunities. Sarah is a Non-Executive Director of Anacacia portfolio companies: Catalyst Education, a leading vocational training specialist and Duncan Technologies the leading provider of parking, smart-city solutions and smart high security cabinets. Prior to joining Anacacia, Sarah was a Principal in Mercer Investments' Private Markets Group where her role encompassed researching private markets products and assisting clients with the construction and monitoring of their private markets portfolios. Previously, Sarah was a Senior Investment Consultant at Sovereign Investment Research, a boutique alternatives investment advisory firm. Sarah was also a Research Analyst at the University of Technology Sydney (UTS). Sarah holds a PhD in Banking and Finance from the Australian School of Business at the University of New South Wales and a Bachelor of Business (Honours) from UTS.